The course teaches you about various printing techniques, preparing your artwork for print, color management, and delivering your files to a printing service. Software required: Adobe Illustrator. Have you ever needed to create a t-shirt design, but just didn't know how or what software to use? If so, this course is just what you need. In this course, Adobe Illustrator CC: Creating a T-shirt Design, you'll learn how to create a t-shirt design in Adobe Illustrator. First, you'll start off by covering the basics of t-shirt design, including the printing process, key terms, and basic color management. 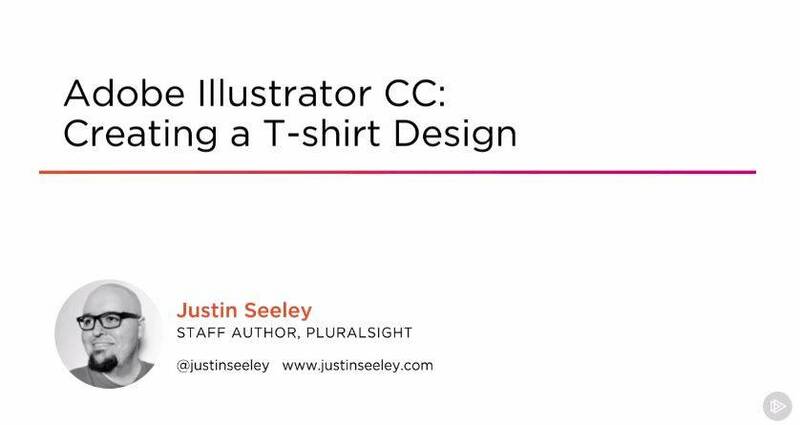 Next, you'll move on to creating your own design for your shirt, preparing it for commercial print, and go over some more advanced color techniques, like using Spot Colors. Finally, you'll learn how to use Direct to Garment (DTG) services online to get your shirt to you or your client ASAP. By the end of this course, you'll have a better understanding of t-shirt design, printing, and preparation, and be ready to hit the ground running when you need to design a shirt on your own. Software required: Adobe Illustrator.